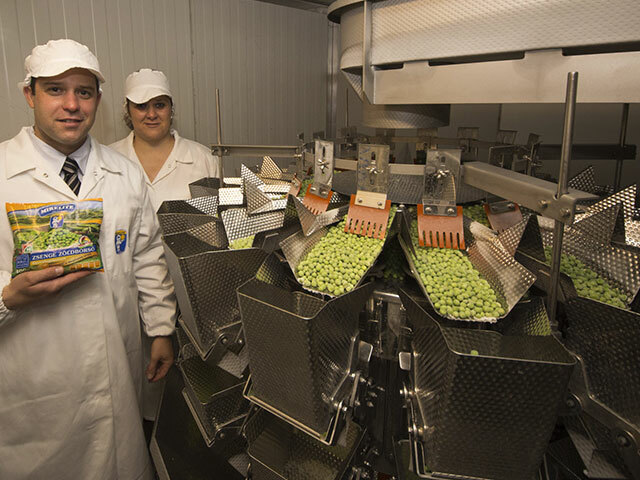 Hungary’s frozen food producer, Mirelite Mirsa has installed Ishida’s latest generation RV multihead weighers to meet its packaging requirements. Capable of handling target weights from as little as 10g to as much as 1kg, the new Ishida CCW-RV-214 will be used by Mirelite Mirsa to pack its huge range of frozen vegetables and fruits. Mirelite Mirsa is a manufacturer and distributor of deep frozen fruit, vegetables and pastry products. It operates a cold storage plant in Albertirsa close to Budapest. The firm offers a range of products including 40 different vegetables, 16 types of fruit, 18 pastries, various dry herbs and a variety of vegetable mixes and ready-to-serve dishes. Mirelite Mirsa has purchased a top-of-the-range Ishida CCW-RV multihead weigher to complement the existing Ishida CCW-NZ-214 weigher which was installed in 1999. Operating in conjunction with a GEA bagmaker, the CCW-RV-214 machine also has the ability to achieve accuracy levels within 0.3g on 10g packs of dill and 2g for 400g bags of vegetables. Mirelite Mirsa director Dr Viktor Loso said: “The new RV is the perfect machine. It is extremely user-friendly, reliable and accurate, with the ability to continue to work over long production runs without any operator intervention. Ishida said that the multihead weighers allows Mirelite Mirsa to offer paper bags, cartons and octabines for bulk goods as well as polyethylene bags from 200g up to 2500g for the retail, hotel and restaurant market. With the installation of new weigher, Mirelite Mirsa reported around 25% of improvement in overall efficiency levels. Image: Mirelite Mirsa installed another Ishida’s RV multihead weigher. Photo: courtesy of Ishida Ltd.